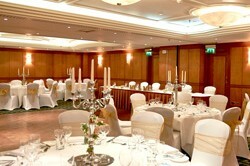 Kingsway Hall is the perfect location for your wedding reception. In the heart of Central London and close to Covent Garden. Whether you prefer a small and intimate gathering with close family and friends, or a larger event for up to 150 guests, our experienced team help you plan your perfect day. Kingsway Hall Hotel has ten air-conditioned, beautifully appointed suites, all of which can be arranged to suit your exact requirements. 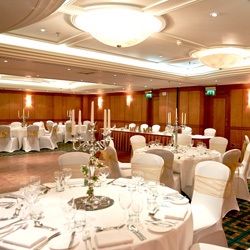 The Harlequin Suite is the largest hosting up to 150 in a dinner and dance format whereas Milton and Keats suite seats up to 80 guests for a wedding breakfast or evening reception with our smaller rooms perfect for more intimate dining. Kingsway Hall is delighted to be licensed for the full range of civil wedding ceremonies and gay and ethnic community wedding celebrations. Our beautiful venue is designed for external specialist caterers with a separate kitchen ideal for all forms of food service.